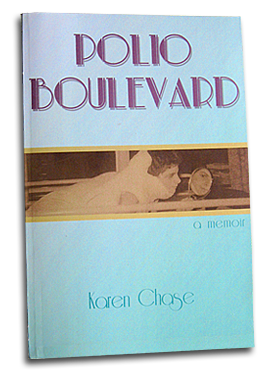 Karen Chase chronicles her childhood with polio and talks about the 1950s polio outbreak in the U.S. as part of her memoir, Polio Boulevard. Her book comes during the same year the nation marked the 60th anniversary of Dr. Jonas Salk’s polio vaccine. WAMC’s Hudson Valley Bureau Chief Allison Dunne spoke with Chase about her book and kinship with Franklin Roosevelt. Karen Chase will be at the FDR Presidential Library and Museum Thursday, November 6 at 7 p.m. for a book talk and signing. She also speaks at Sheffield Local Authors Day on November 15. After his recent death, we present an encore interview with WAMC's Alan Chartock In Conversation with Joseph Persico about his book - Roosevelt's Centurions. We are very happy to continue our weekly feature on the RT, entitled – Ideas Matter: Checking in with the Public Humanities. It is our chance to check in with the Humanities Councils throughout our 7-State area to discuss important ideas and why they do indeed matter. As we head into the Labor Day weekend, we take a look at the history of this holiday by talking with Jeff Urbin, Education Specialist at Franklin D. Roosevelt Presidential Library and Museum about what Labor Day meant during the FDR administration. A documentary on the Roosevelts by Oscar-nominated and Emmy Award-winning filmmaker Ken Burns airs on PBS in September. Burns was at the Franklin D. Roosevelt Presidential Library and Museum in Hyde Park earlier this summer where WAMC’s Hudson Valley Bureau Chief Allison Dunne caught up with him. While Franklin Delano Roosevelt’s first hundred days may be the most celebrated period of his presidency, the months before the attack on Pearl Harbor proved the most critical. Beginning as early as 1939 when Germany first attacked Poland, Roosevelt skillfully navigated a host of challenges—a reluctant population, an unprepared military, and disagreements within his cabinet—to prepare the country for its inevitable confrontation with the Axis. In No End Save Victory, esteemed historian David Kaiser draws on extensive archival research to reveal the careful preparations that enabled the United States to win World War II. James Tobin writes in his new biography of Franklin Delano Roosevelt: "It is a truism to say Roosevelt overcame polio to become President. It is just as accurate to say that Roosevelt would not have been the President he became, probably would not have been President at all, had it not been for the germ that had infected him in 1921." National Book Critic Circle Award winner James Tobin, author of the acclaimed Ernie Pyle’s War, writes in his detailed account of the defining event of Franklin Delano Roosevelt’s life, and the greatest comeback in America’s political history.